Image: jesadphorn/Getty Images. Design: Ashley Britton/SheKnows. We talk a lot about limiting screen time for kids, don't we? As we navigate the digital age, it's normal to worry about a young, developing mind and what hours staring at a screen might do. However, it's not only a problem that kids have to contend with — adults can and do experience digital addiction. Here's how it happens, how it can affect your family and what you can do about it. What is digital addiction, anyway? Addiction, as far as drugs and alcohol go, is a chronic disorder in which people seek out and use drugs despite negative consequences according to the National Institute on Drug Abuse. While digital addiction doesn't involve drugs or alcohol and hasn't found its place in the Diagnostic and Statistical Manual of Mental Disorders quite yet, addictionlike behaviors in regard to the digital space have been a hot topic for several years. A paper published in the Bentham Science Current Psychiatry Reviews in 2012, for example, calls for the inclusion of "internet addiction" in the DSM, and even as far back as a couple of decades ago, it was brought up at the 1996 American Psychological Association meeting in Toronto. Even back then, there were concerns that internet addiction could lead to academic-, social- and work-related impairment, as people would opt for screen time instead of doing homework, interacting with others and keeping their minds on their work. We chatted with Dr. Lisa Strohman, founder of The Digital Citizen Academy, to get a little deeper insight on digital addiction and what it can mean when you're a grown-up with a family. "Most of the teens and kids I talk to complain about their parents and the amount of time they are spending behind screens," she tells SheKnows. "This is not just a kid issue; adults have equal access and equal responsibility for allowing themselves to be pulled into the digital realm." Adults often have a leg up on the kids when it comes to explaining their reliance on digital devices — but it's really to their detriment rather than to their advantage. "Adults tend to have better skills to negotiate a justification like work or life demands that kids don't have the same ability to do," Strohman explains. Symptoms of a digital addiction can include a short temper, apathy to your life and the lives of those around you, increased anxiety and depressive symptoms, she shares. "The more a family uses devices, the more disconnected they become from each other, which can create a real issue of attachment disorder," Strohman says. This means you might find that family members lose respect and trust for one another, and in serious situations, family members can become ambivalent. They can also wind up avoiding developing other relationships — which, as you can imagine, is not all that great for family life. How can you fix a digital addiction? 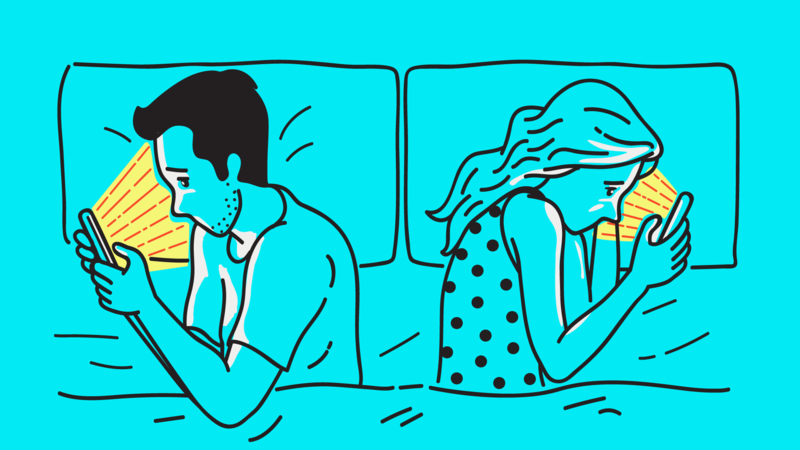 The first step is to be aware that there is a problem with your digital life, Heidi McBain, a licensed marriage and family therapist in Texas, tells SheKnows. In addition to the symptoms listed above, ask yourself whether you feel like you can't be without your phone, or always need to have a screen pointed at your face. If so, there may be an issue. Next, McBain suggests setting time limits — including utilizing timers if need be. Also, don't sleep next to your phone. "Get in the habit of plugging your phone into an outlet in a room you don’t frequent when you get home from work, and try not to disconnect it until the next morning when you leave for work," she says. Strohman also has some great suggestions. "Once a family realizes that they are not as connected as they once were, they can take steps to do something about it, like focus on family time with games, [take] walks without technology and even carve out days like tech-free Tuesdays, which can help the whole family focus on times they can disconnect to reconnect," she shares. If your digital habit is too tough to break on your own, you have the option to seek help from a qualified professional, who can help you get back on track. "Therapy can also be a helpful place to learn how to break some of these unhealthy patterns in your life as well," McBain says. A digital addiction may not be as deadly as other addictions, but it can certainly impact a family in a negative way. If you feel that you've developed an overreliance on screen time, maybe it's time to investigate new ways to connect with your family.